Hello everyone! I hope you all are having a great week. Sharing a fun summer look today. 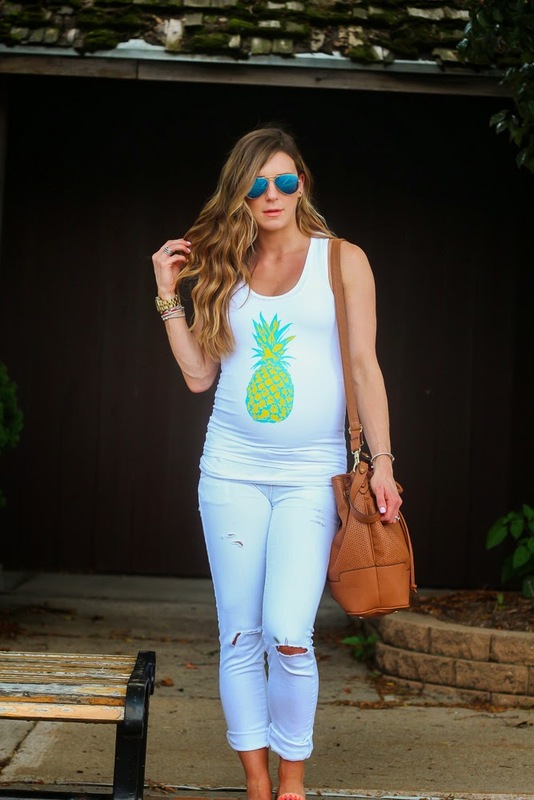 I am a big fan of distressed jeans and really wanted a pair of white ones, however, with the baby bump now is not the time to shop for any. So I took this old pair I had and ripped them up a bit. They are non-maternity but I used the Belly Button Band so I was able to wear. I will be sharing more details on the belly button band next week and how you can get a free band for yourself! A quick pregnancy update…I am currently 38 weeks and cannot believe that baby girl can literally come anytime now! I am excited and nervous all at the same time. Life is about to change big time, but in a crazy, great way and I can’t wait to share it all with you. I am grateful for all of your support and for following along! OMG that's so exciting that you are in the final stretch! 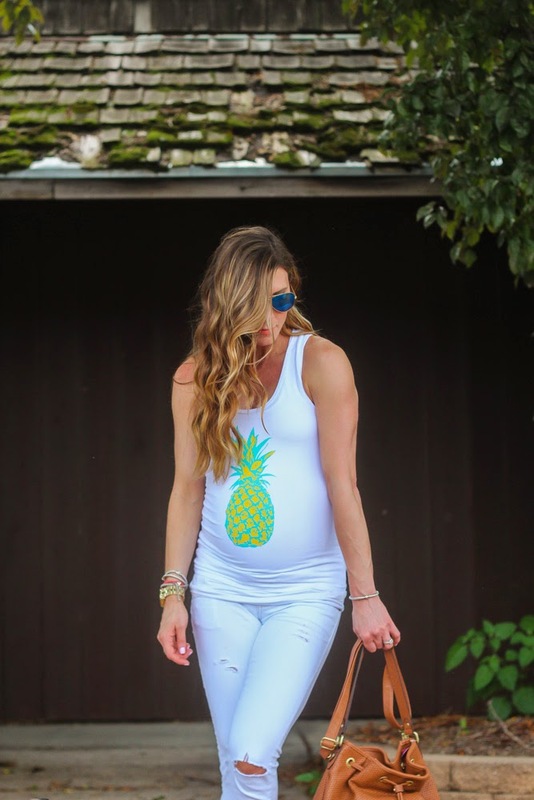 I love the pineapple tank! You look fabulous! 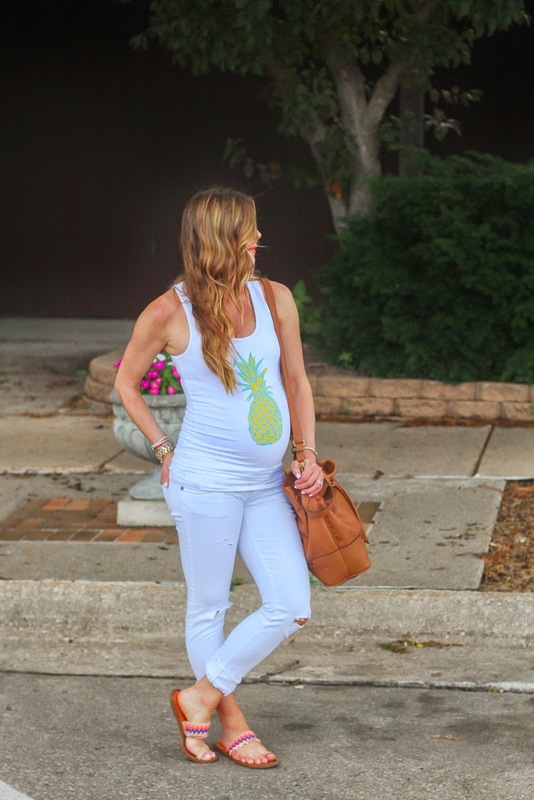 Love that pineapple tank and how you styled it with the white denim! Perfect!